NAIROBI, Kenya, November 15, 2013/African Press Organization (APO)/ -- Twelve technicians from the Defence Forces of Burundi, Kenya, Rwanda, South Sudan, Tanzania and Uganda recently participated in a malaria diagnostic training event sponsored by the U.S. Africa Command's Office of the Command Surgeon and the Humanitarian and Health Activities Branch. The event was conducted at the Malaria Diagnostics Centre (MDC), a department of the Kenya Medical Research Institute, and the U.S. Army Medical Research Unit-Kenya, located in Kisumu, Kenya, Oct. 30 – Nov. 12, 2013. The MDC is the largest malaria diagnostic center in sub-Saharan Africa. The MDC is located in a malaria endemic region of Kenya, but this environment has a “plus side” in that researchers and clinicians have access to a continuous supply of malaria parasites for preparation of blood films, giving trainees more than adequate resources for hands-on training on smear preparation and staining. The training, developed by MDC and AFRICOM staff, established four key objectives: to high-light the importance of microscopy as a reliable malaria diagnostic tool; improve malaria diagnosis in both clinical and research settings; standardize malaria microscopy procedures and practices, and establish competency and performance standards for malaria microscopy. 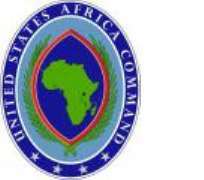 Funded by AFRICOM, the malaria diagnostic training was developed in response to a need identified during a presentation by the East Africa Malaria Task Force (E-AMTF) member nations during the E-AMTF meeting in Dar es Salaam, Tanzania in July 2012. The goal is to create a pool of trainers who can train others (known as “train-the-trainers”) and build capacity capability in malaria diagnosis in their countries.